Must see! Beautifully updated and meticulously maintained Queen-Anne Victorian. 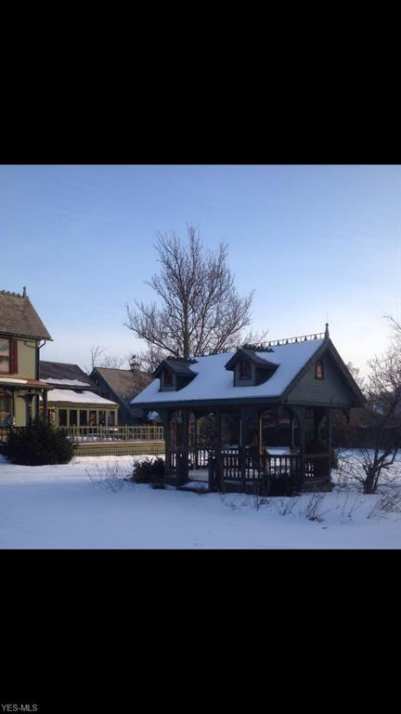 Situated 58 minutes east of downtown Cleveland, on 1.25 fenced in acres in historic Jefferson (Village), Ohio. 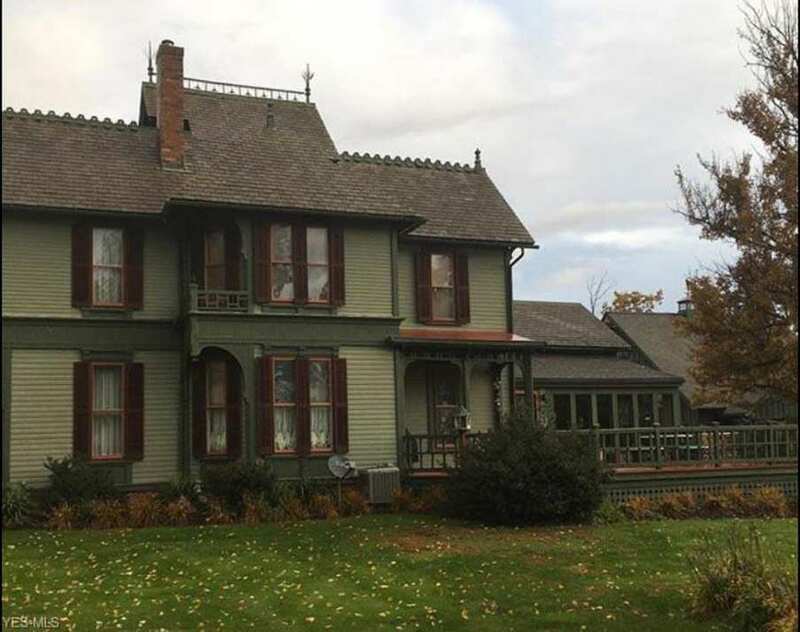 The house was originally built in 1895, in which the current owners purchased in 1985. Since their purchase, the property has transformed: 2948 finished square feet, 3 bedrooms, 1.5 baths, fully updated custom kitchen, home office, foyer, formal dining, custom (original) wood finishes, original stained glass, bonus room, original wood floors, brand new (less than 1 year) air-conditioning unit (central air), 1.5 year old water heater, driveway re-stamped custom finish last year ($6, 000), fully operational gate, three car carriage house (31'x40') built in 2007, massive side deck, front porch, Victorian exterior lighting, custom brick pathways connecting all areas, half basketball court, 745sqft finished space above with A/C AND Heat, custom gazebo, garden shed, workout room, fenced in garden, located in the township, and housed within the best school district in the county! No expense spared on updates and maintenance. 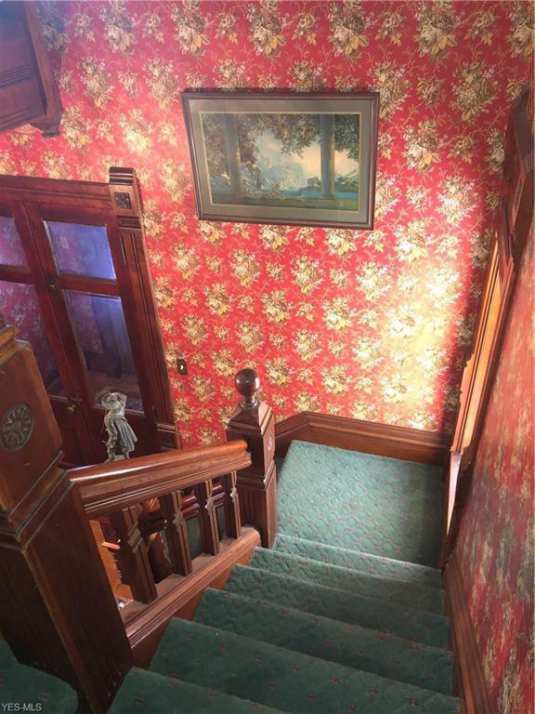 This has led to national magazine features ("Victorian Home"), historical tours, and a multitude of newspaper articles/features! Please contact the owners for more information about the property. Please refer to the google earth image for the overall property layout. No listing description at the time of creating this post. Wow! 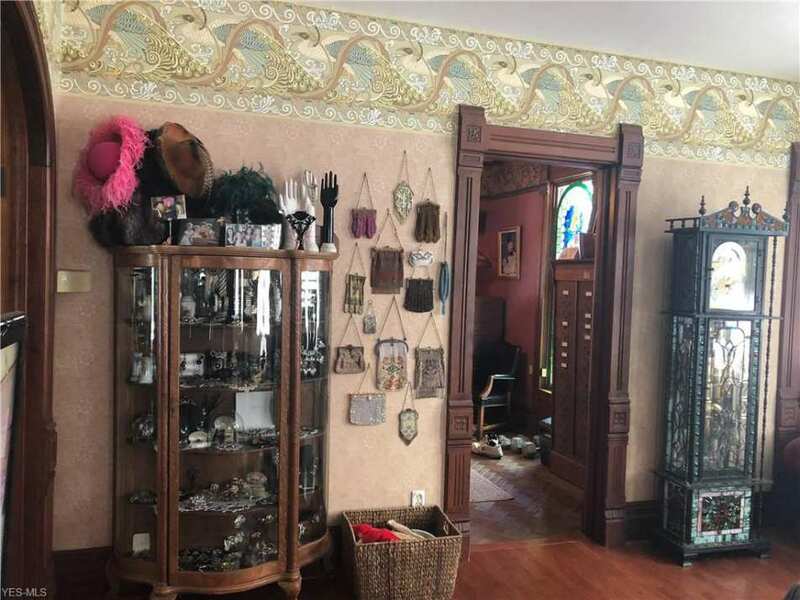 Those wallpapers and stained glass – just stunning. And I really like the exterior colors. It all has such a warm, homey feeling. I’m in love. How beautiful! I love the exterior. I love the garnet shutters and accent trim with the green. Beautiful roof complete with its trimmings…. finials et all? The painting or print in the kitchen was a nice surprise and looks like Egon Schiele. 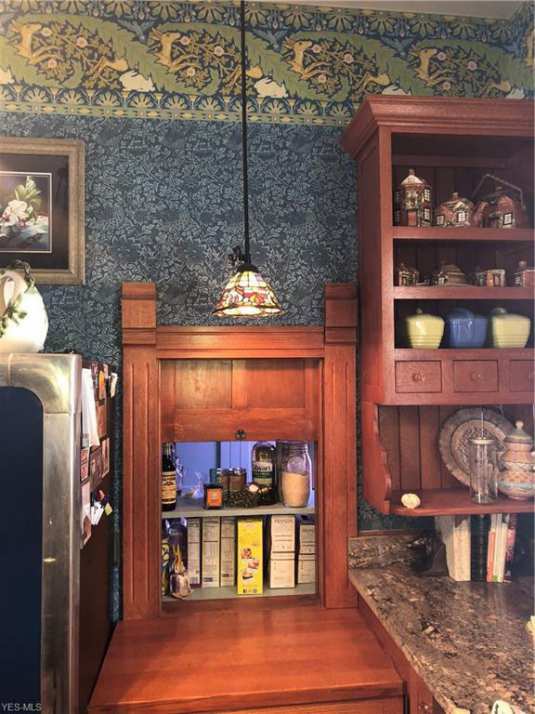 How nice to have a kitchen with some open space and window above the counter top, nice woodwork and pantry with its pass-through and lots of storage and window too. The home looks well -lived in and cared for. 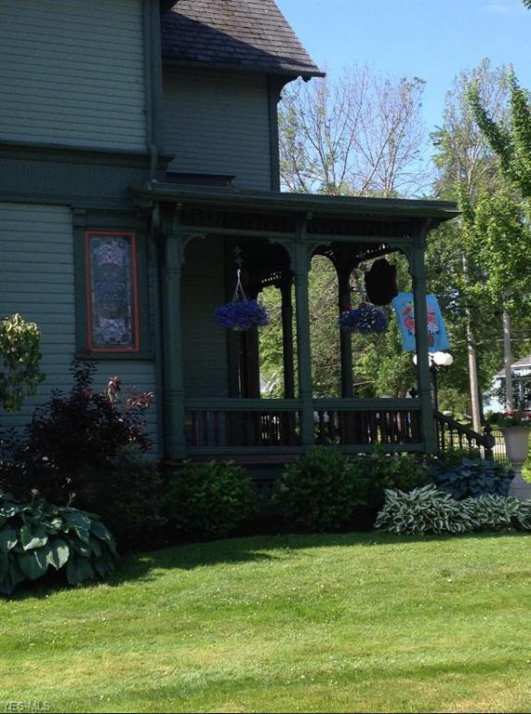 Nice gazebo, but the dormers, would that have been something the Victorians would have entertained? I noticed a unique painting in here too. 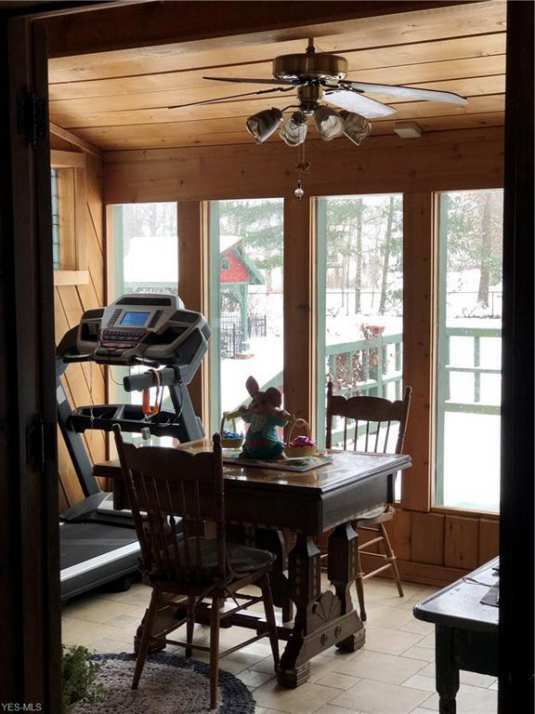 The one in the office to the left of the stained glass window is an original or print of a Red Skelton clown painting. Besides being a comedian he painted clowns. 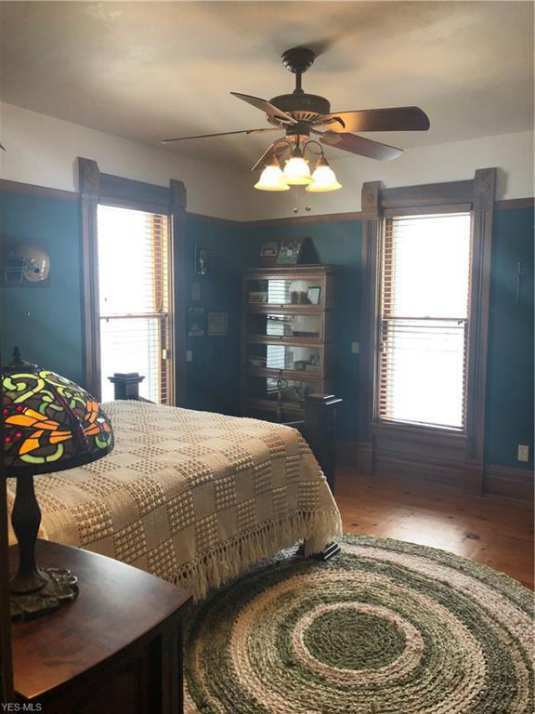 Ok, so this home certainly must be in the running for the most creepy-awesome high Victorian home that you’ve ever posted on this site. “Creepy-awesome” is my very favorite architectural style! Creepy? I respectfully disagree. 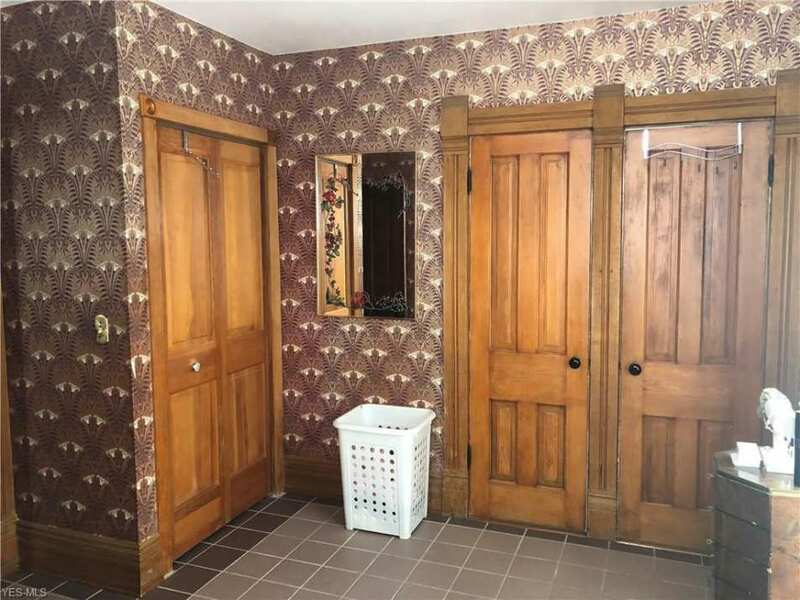 I don’t know what anything about this house would be construed as creepy. 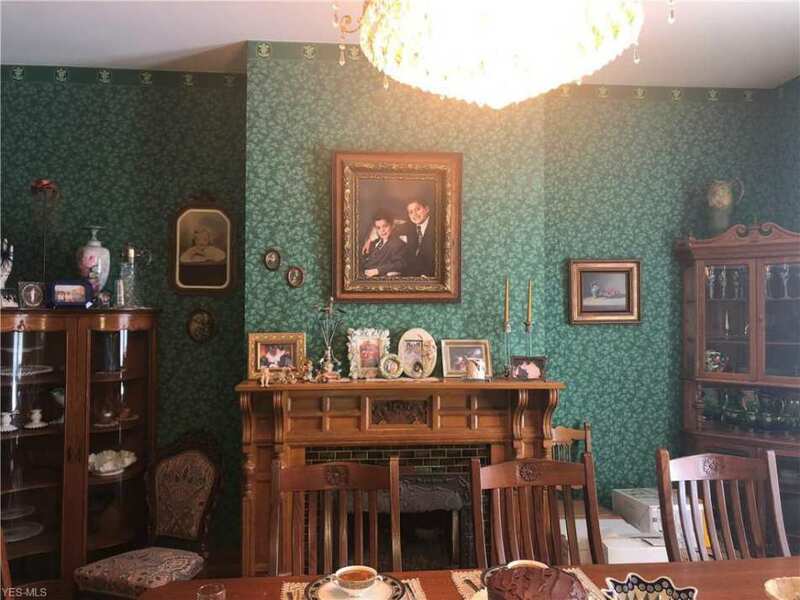 There’s nothing creepy about this house at all. Its just beautiful. You can thank Hollywood for using these beautiful homes as horror movies and ruining their reputation. Certainly people of the time never viewed them as creepy, but a wonderful new modern style house in rebellion to the previous styles. “You can thank Hollywood for using these beautiful homes as horror movies and ruining their reputation.” If I had to agree with only one thing someone has ever said on OHD this would be the statement. 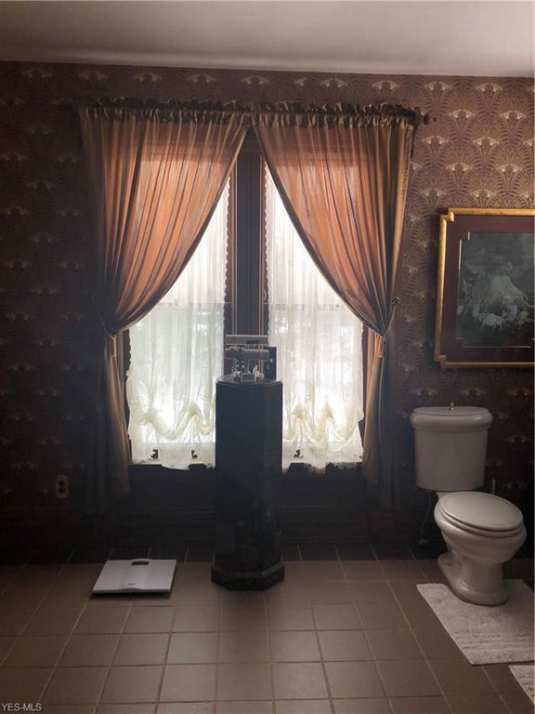 I hate, HATE that movies and (staged) reality tv has made people think old homes are all haunted or creepy. It’s always down to photography. 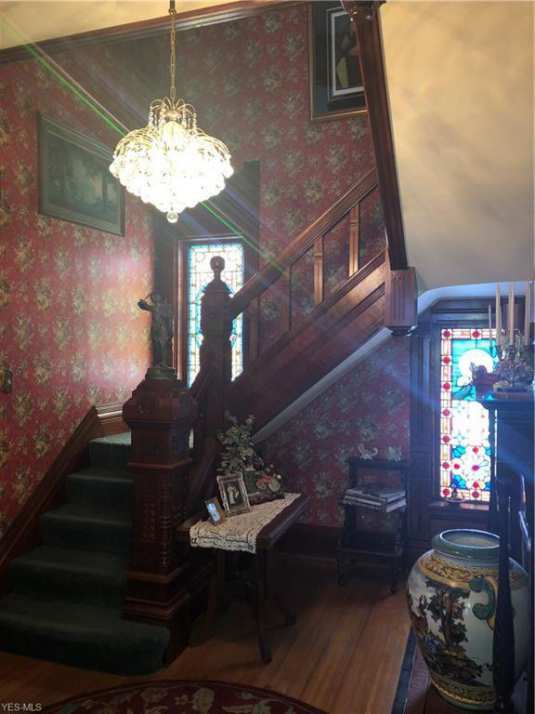 The darker the photos the more people think that a home must be haunted/creepy. 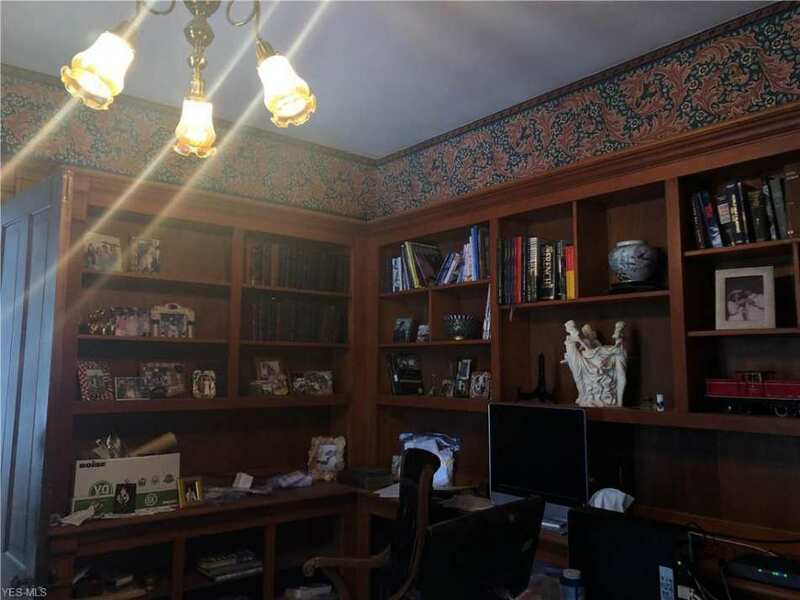 No, the agent just took a photo without any light at all and has nothing to do with anything but presentation. Most people don’t agree with me. I appreciate. Oh trust me, I mean that as the highest of compliments! I’d live here in a second. 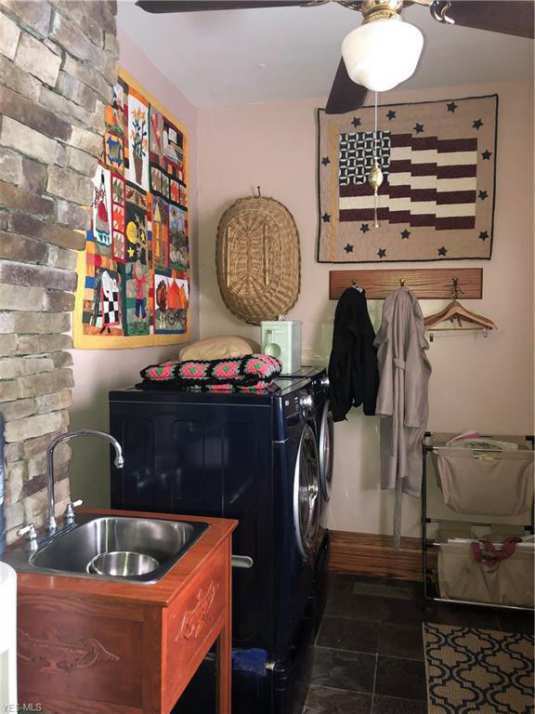 Everything is intact save the original baths and kitchen, and those have been designed to match the home very well. 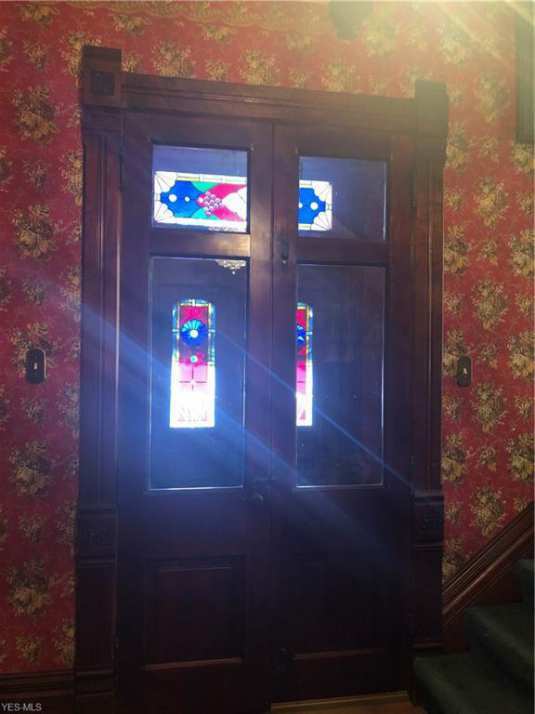 You rarely see a Queen Anne with so much stained glass remaining, and the woodwork has been preserved beautifully. 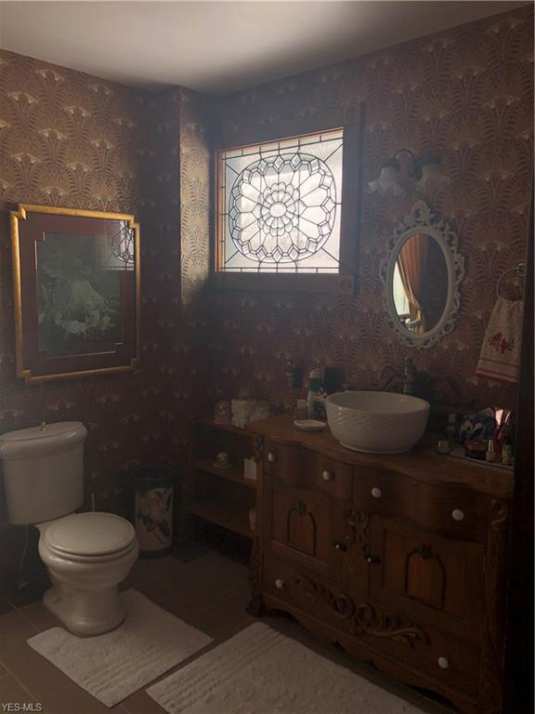 The paint and wallpaper choices add to the dark coziness. 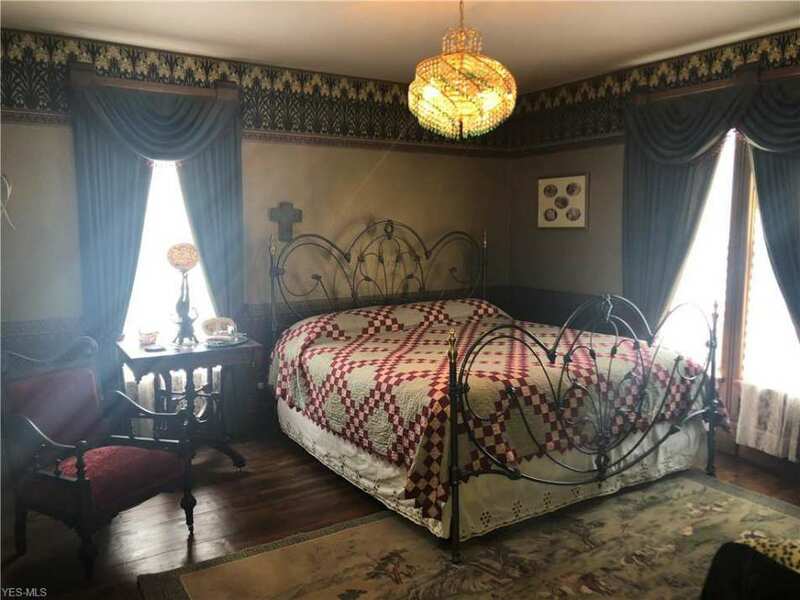 This is pretty much my dream Victorian. 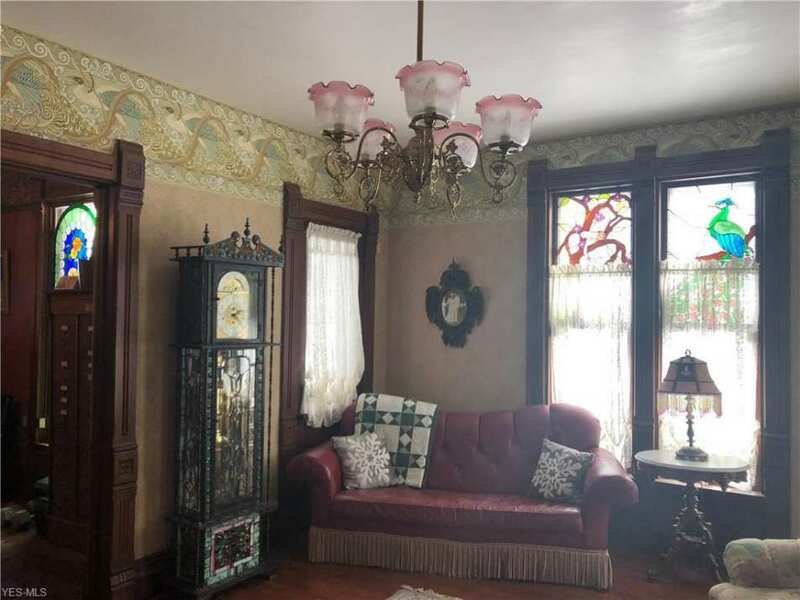 Beautiful stained glass, light fixture in the parlor is gorgeous. 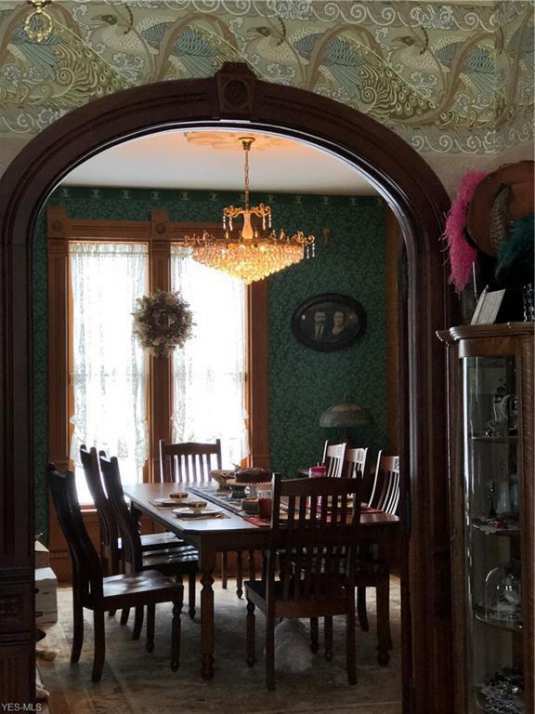 Nice woodwork, wallpapers, and I really like the leaded glass built in cabinet in the dining room. 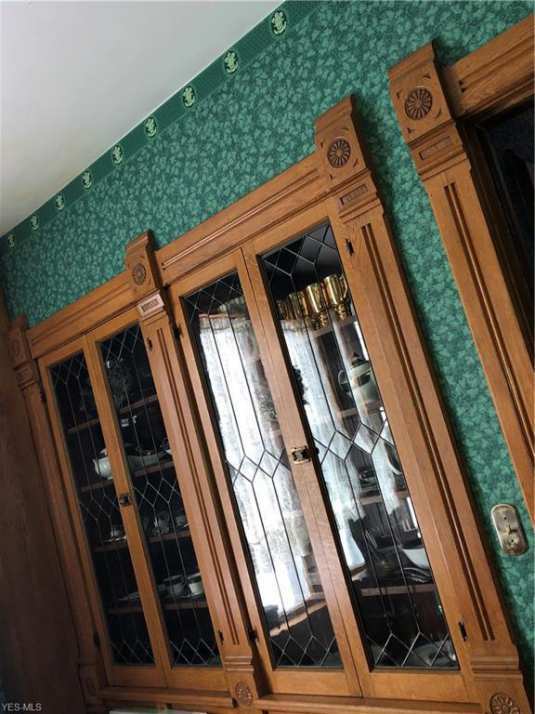 Nice kitchen, especially the dumbwaiter turned cabinet. Is it a dumbwaiter or was it a pass through? 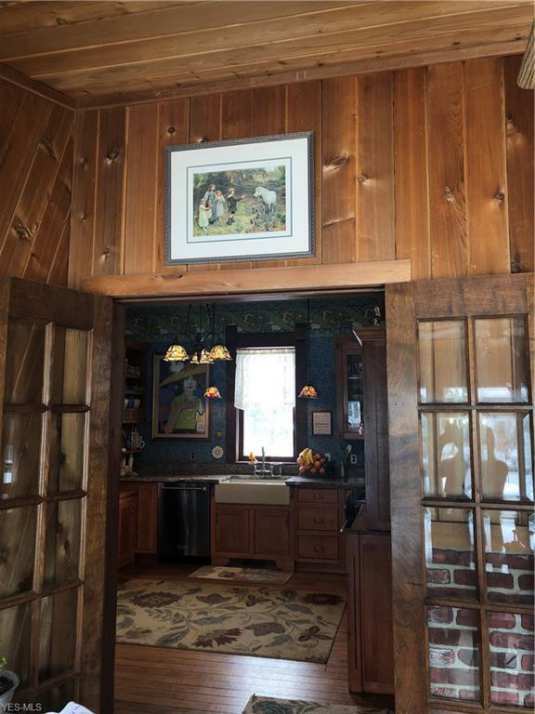 And how about the woodwork around it. WOW. 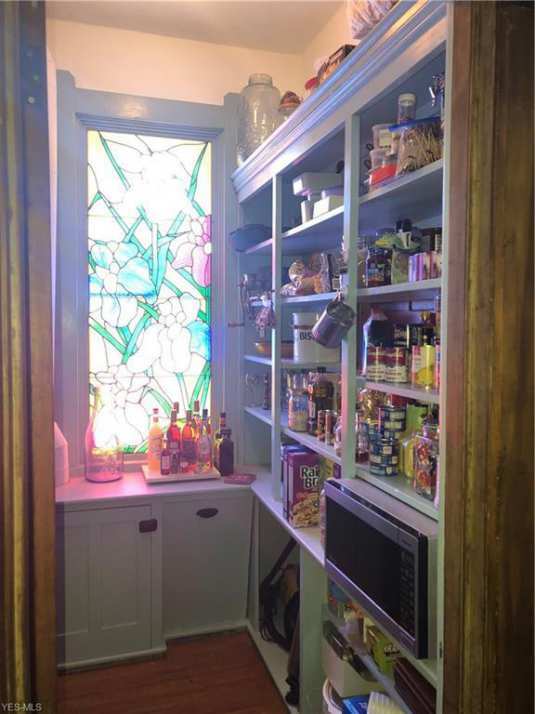 Looks like a pass through to the pantry. Either way, it’s beautiful! Yeah this house is stunning. The exterior is a perfect period color scheme for its time. The woodwork is beautiful. The roof ridge is amazing. 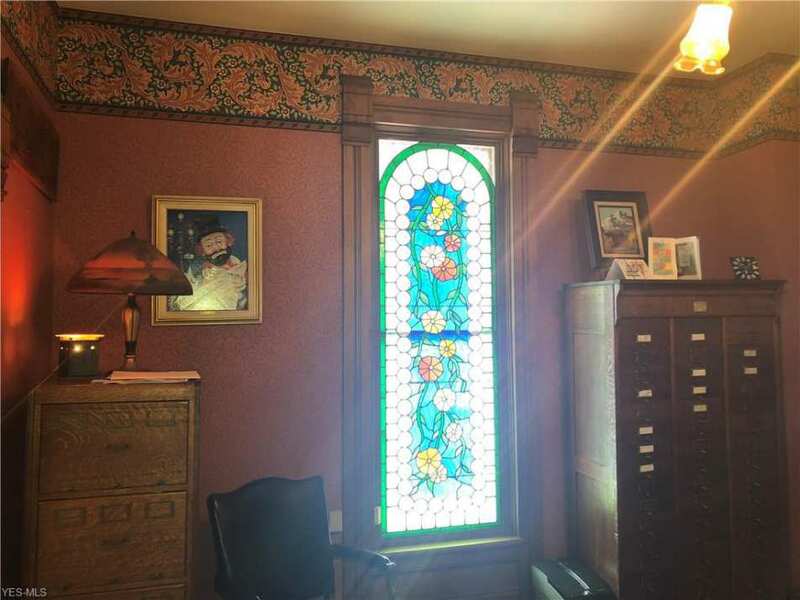 Some of the stained glass looks like a later addition, like an arts and crafts project for someone and isn’t really my thing but the authentic glass is amazing! OMG!!! NOW, what do I do? 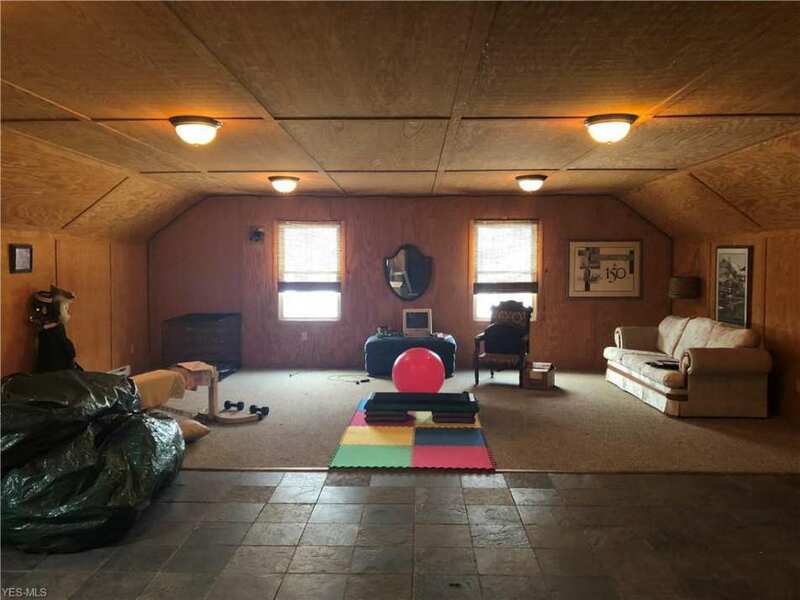 Buy the previous house in Fairfield, Iowa, or this one? Why not both? OK! Both it is! By any chance, are the owners members in here? 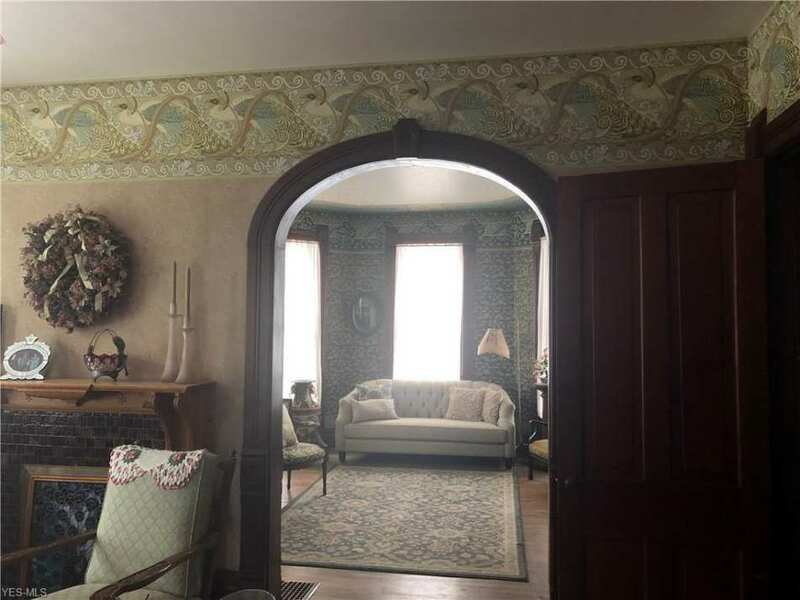 I just love the way they’ve decorated this wonderful house.I love the wallpapers-I am horrible at choosing wallpapers or paints, and I always hate colors and patterns other people have chosen, then I love them, when they are on the wall. 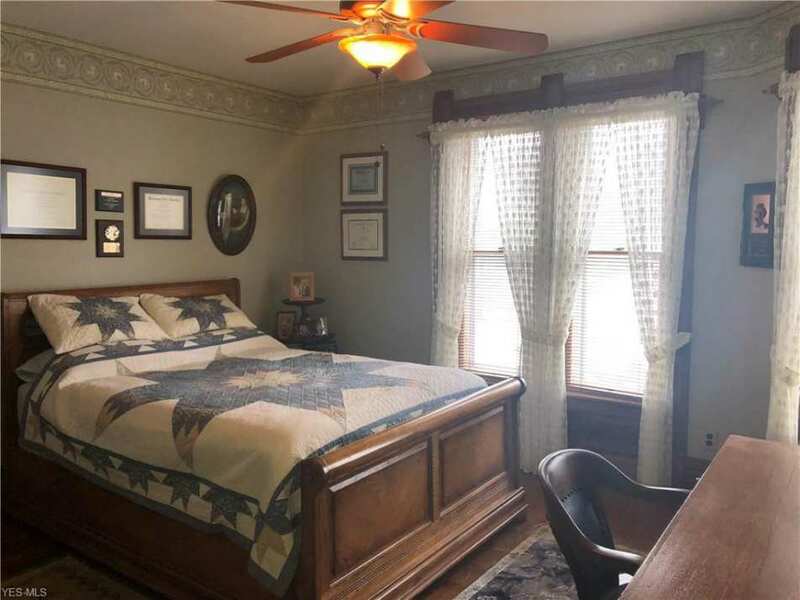 I love that grandfather clock-I’ve never seen anything like it. Does anyone know anything about it? I’d love to know where they got it. 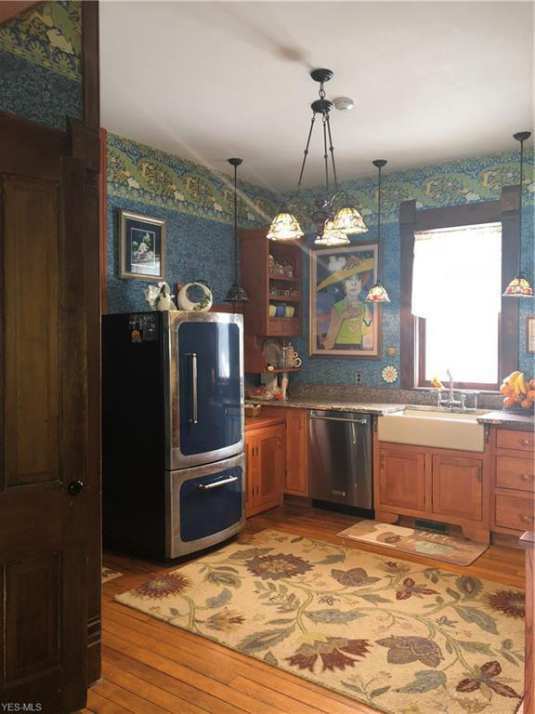 I love the rounded doorways, and the kitchen. For once, the kitchen matches the rest of the house. 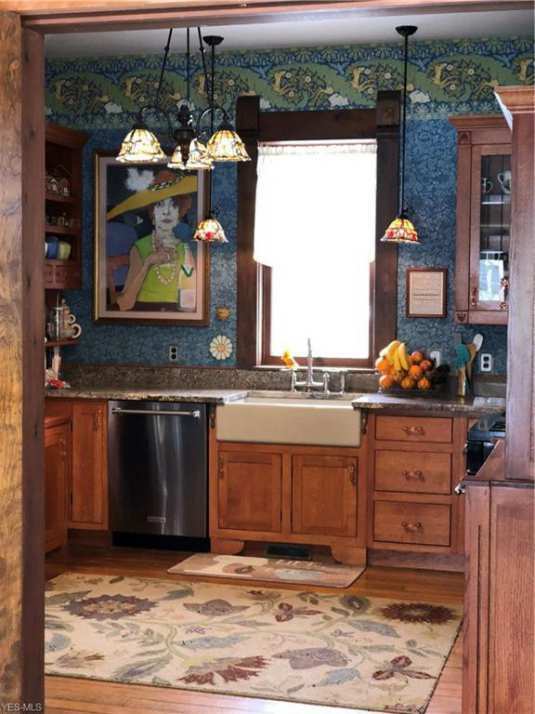 All too often, I see a house I love, see all the historical features kept intact, then walk into an ultra modern kitchen that looks as if it was taken out of a completely different style house. 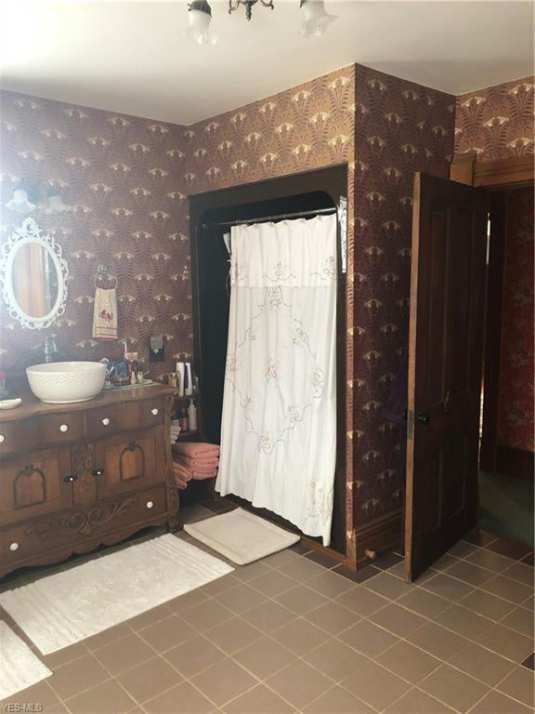 I love those wallpapers as well, and would love to know where they were sourced – I don’t recall seeing them the last time I checked the Bradbury collections…? Some are Bradbury I think and some are E.J. Burrows. I could be wrong. I’ve seen some of these designs before. There is also aesthetic interiors. See the website. 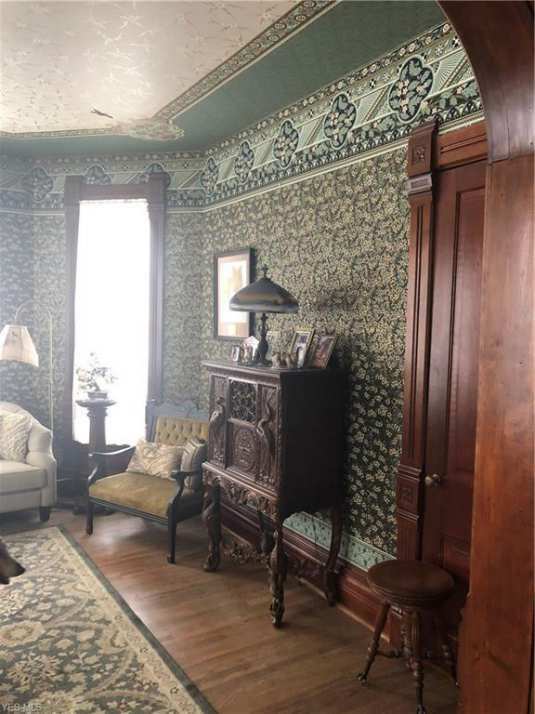 This site has great replica ceiling and wall papers. 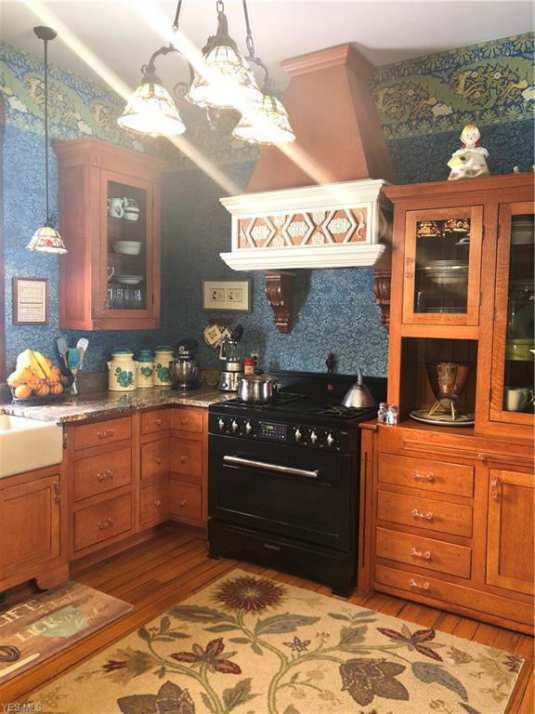 N-O-T-H-I-N-G. i even love the kitchen but would have to clean a lot from drooling on the stained glass. what a perfect speciment and then – TA – DA -that supersweet garage and the extreme gazebo in the same style. 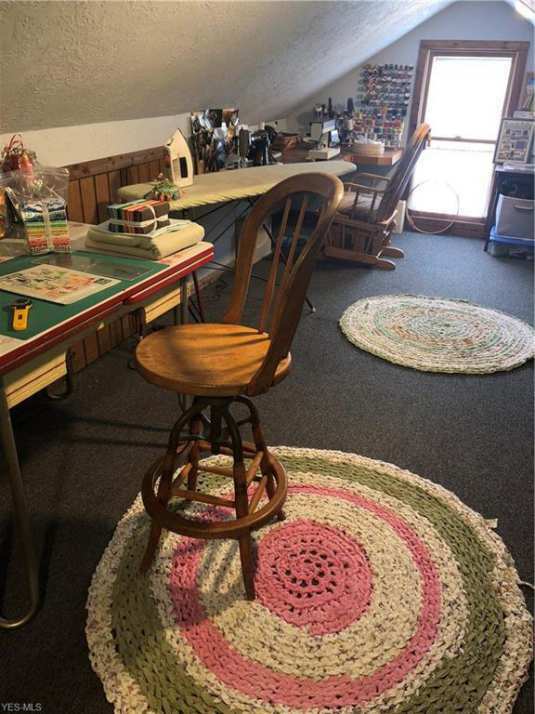 Kudos to the owners for everything. i agree with everyone else, this place is amazing. Perfect exterior colors and while i am not usually a wallpaper person these are so good that i like them. 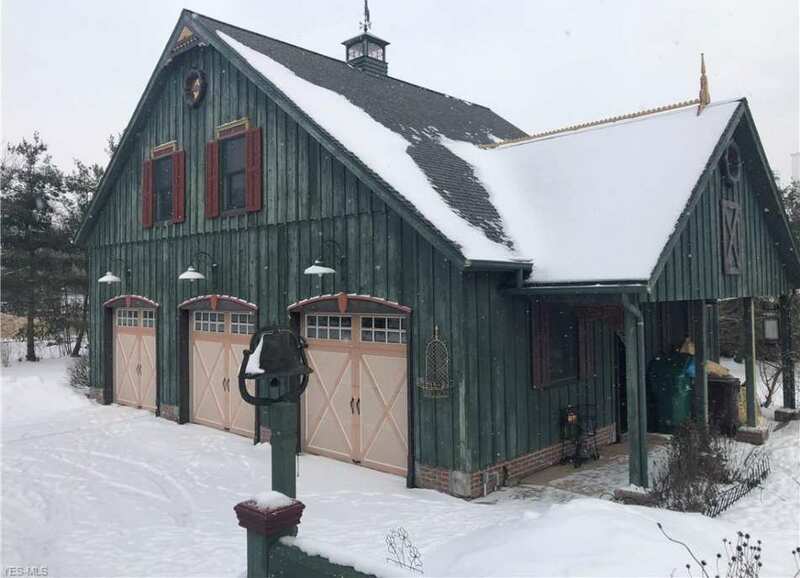 Plus i love the garage house and 1 full acre. A very sweet property. drape cobwebs on the doors, have skeletons peeping out the windows, and have a ghost coming out of the chimney!! Then I would rent it out for Halloween parties and hire it out to studios to film horror movies!! 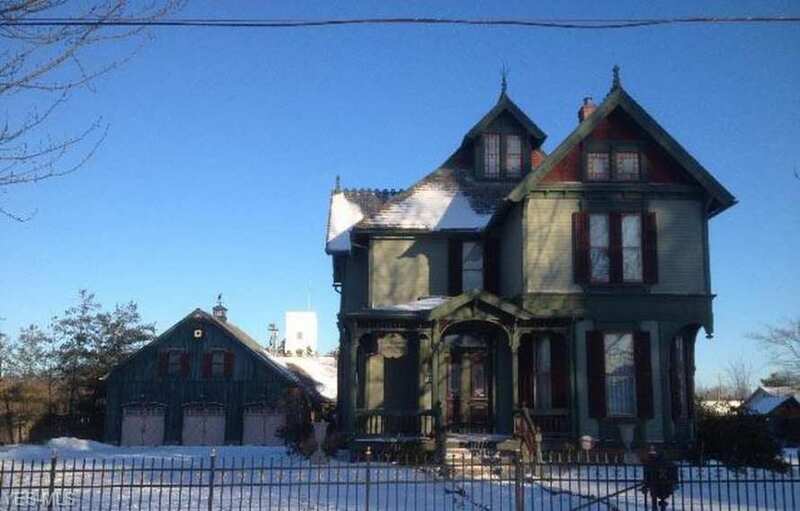 And I would be the resident Morticia Adams Chatelaine of this fantastic old house!! !